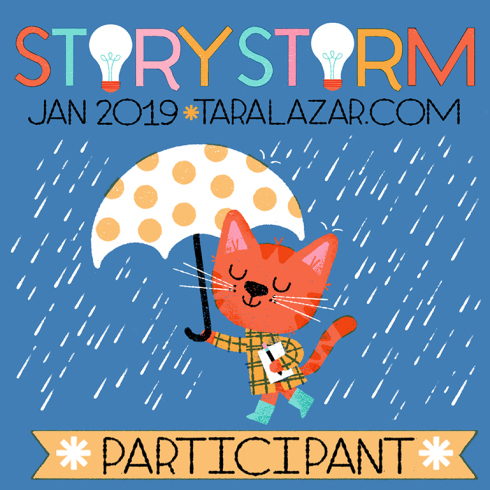 I just signed up for STORYSTORM 2018, and I’m looking forward to 30 brand-spanking-new story ideas by the end of January! Thanks for hosting again this year, Tara Lazar, and happy 10th Storystorm Anniversary! Photo courtesy of Bread for the World. 1 in 6 people in America face hunger. That means more than 1 in 5 children is at risk for being hungry during a regular school day. Among African American and Latino American children, the risk is 1 in 3. For every 100 school lunch programs, there are only 87 breakfast sites and 36 summer food programs. Nearly half of the 1 in 7 people enrolled in SNAP programs are children. 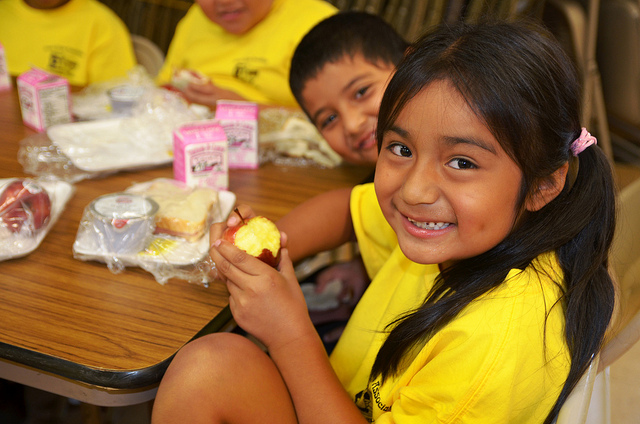 Over 20 million children receive free or reduced-price lunches each day at school. Less than half of these kids get breakfast, and even less than that have access to a meal program in the summer. 40 percent of food is thrown out in the United States each year. That’s about $165 billion, and that amount could feed 25 million people. Yep, you read that right…$165 billion…enough to feed 25 million hungry people; and a grotesquely large number of those are children. Pretty overwhelming stuff, considering we’re at the end of the season of thankfulness and just opening the door on the season of giving. So what do these numbers have to do with writing for kids? Well, think about that for a minute. One in 5 children ARE hungry during the regular school day. That means when little Johnny or Susie picks up a book during library time, most days all he or she can think about is, “When’s lunch?” And I don’t know about you, but when I’m hungry, reading, thinking or any kind of concentrating is almost impossible. Now imagine if that same child picks up a book about making pancakes, or having a meal with family, or sitting down to a table laden with holiday goodness? I mean, don’t we all get a little bit hungry, even when we’re not if food flashes in front of our eyes? Now let’s talk buying books. If more than 20 million children across America receive free or reduced-priced lunches, how many of them have ever or will ever hold a book in their hands that they’ve purchased with their very own money? And how does that figure into school book fairs where some families must choose between paying the rent or buying groceries, much less finding some extra cash so a child can be like his or her classmates and visit the book fair? Part of developing a life-long love of reading is the feeling that comes when you crack open a book of your very own. The smell. The sound of pages turning. The brightness of brand new pictures and paper that isn’t stained or torn. All of this creates memories that draw adults back to books. I know ebooks have their place, but for book lovers, there’s just nothing quite like it. If this love of books never develops because books aren’t accessible or kids are too hungry to read them, how is this impacting society as a whole? When I was a teacher I wrote a different inspiring quote on the chalkboard each day (you know, that long green thing that used to hang in the front of the classroom:). One of my favorites was, “Readers are leaders.” But even the child with the absolute most potential for greatness in the world can’t lead when she’s hungry, because all she thinks about is, well, being hungry. It would be great if the answer were as simple as putting hungry children in our stories so they can see themselves in what they read. Or don’t put hungry children in our stories so they won’t feel marginalized. Or don’t put food in our stories so we don’t create more hunger. Or put more food in our stories, or, or, or… you see the problem here, right? I guess, as with many other types of social injustice, writing in the most thoughtful way possible with the goal of shining some light on the problem without singling out children and making their lives more difficult is the best approach. Pretty tall order, but you’re a writer for children, remember? In your heart, you’ve taken a sacred oath to do just that. And if you haven’t you should, or find something else to do with your time. The other thing you can do is put legs on your prayers for hungry children by seeking out ways to help. I read a really great suggestion on Facebook the other day about going to your local school and paying off outstanding lunch charges for children in need. You may not know this, but hungry kids fall through the cracks all the time, and not all families who need free and reduced-priced lunches get them for a variety of reasons. When these kids’ lunch charges exceed a certain amount, they can no longer get lunch and are forced to eat a dry cheese sandwich or a bowl of Cheerios. Yep. It’s the truth. Writers are doers. We “do” every day without having to punch a time clock. As long as we meet our deadlines, it’s all good. Put that writer “do” into finding ways to help end childhood hunger. Then what will we have? More kids with satisfied tummies and books in their hands (the ones with your name on them). More readers. More leaders who remember what it’s like to be “that kid” and who work to change their world. “11 Facts About Hunger in the US.” DoSomething.org | Volunteer for Social Change. Accessed November 28, 2017. Sensibility- Writing is a reflection of life, and sometimes life isn’t pretty. Reflect it, as often as possible, with grace and kindness. Sense- Find out what your community does to fight childhood hunger and get involved. What are some things your community or school district does to fight childhood hunger? The Beauty of Space (Not the Star Wars Kind) and a Critique Special! 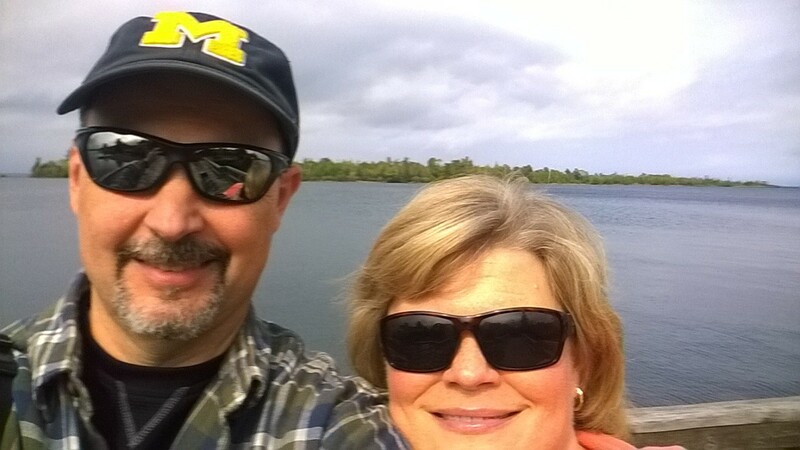 Me and my sweetheart at the very top of the Mitten’s UP in beautiful Copper Harbor. A few weeks ago, after almost 20 years of first-day pictures, new backpacks, shiny, white sneakers and packing lunches, my husband I finally made it to the empty-nest club. To celebrate, we took our first extended trip without any kids or pets, and headed north to Michigan’s gorgeous and remote Upper Peninsula. It seemed like the perfect way to ease into our new roles- drop our daughters off at school, pick up the ferry across Lake Michigan and have an adventure. It was amazing. We talked, laughed, hiked, ate, rested and looked at each other without interruption for 5 whole days! “This empty-nest thing is a piece of cake,” we said. “We’ve got this!” And then we came home. “So this is how it’s going to be?” I questioned. I’m not sure if we both cried right then, or if a number of tears I shed over the next few minutes were enough for two, but there were waterworks a-plenty. It felt good to let it out after all the busyness of getting the girls supplied, packed up and delivered to school while at the same time preparing for our own trip. It was the end of a very long marathon that began the previous September with the last set of senior pictures, homecoming, etc. You know, all that “last time, last kid” stuff we do to send our babies off into the big college world. We trudged upstairs and went to bed, weary from weeping, while at the same time strangely refreshed. It took me a while to get back into a routine, especially since a week later we made a trip south due to a loved one’s medical emergency. But after we got back home again, I fell into a groove, and it felt good. It was now time to take care of some long-neglected items on my to-do list, and one of those was my bulletin board. The empty cork with lonely thumbtacks and a blank calendar almost made cry. . . almost. But before the floodgates opened, I realized something. That emptiness represented space in my life. Something I haven’t had much of since hearing those first amazing words, “It’s a boy!” Those were the absolute best years of my life. There’s nothing better than being a mom! But wow, that space, that cracked, well-used corkboard space looked hopeful somehow. What to do with it? The temptation to fill it up to stop the loneliness came. . . and went! Are you kidding me? How about pausing, exhaling and letting God fill the space? Or not fill it! What an incredible feeling- to have space that didn’t need filling, just repurposing. And of course I’m using my part of that space to write, and write and write some more. In the emptiness, creativity has flooded in (and I’m getting my paying work done too). I’m enjoying my quiet hours more than I ever thought I would. Oh, I still cry. And there are many evenings when I ask my husband, “Is it that early?” I mean hey, we’ve only been at this a few weeks. And thankfully, my kids are close enough to us that if the need for a cup of coffee with them becomes overwhelming we can get to them easily. But that space. Wow. It’s been a week or so since I cleaned off the bulletin board, and it’s still empty. 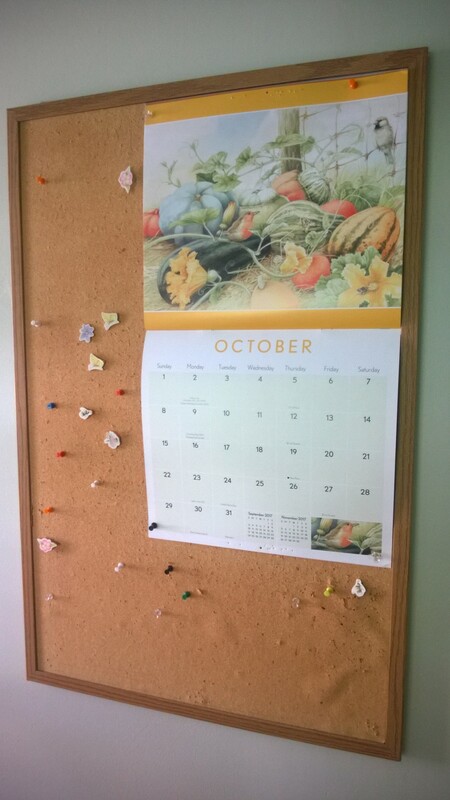 Even the calendar for October is empty (not the one I keep on my computer, but still). I think I’ll keep it that way a while longer. It’s a great reminder to cherish the space as a gift, rather than fill it with more things that don’t really matter. And as a way of celebrating this new season, I’m running one of my famous BOGO Critique Specials. That’s right! Now through November 17th, purchase one picture book critique at the regular price and get a second critique absolutely free. Just click on the PGWRites Critiques tab above for more information. Looking forward to reading your stories in the coming weeks! Sensibility- Life’s seasons can be challenging. Keeping a positive attitude and looking for the unique joys each one brings keeps us moving forward. Sense- Find yourself with some unexpected space? Fill it with creative projects. They are the best kind of food for the soul! Getting Back Into the Writing Groove! Kristin is the author of YA novel, THE ART OF HOLDING ON AND LETTING GO (Elephant Rock Productions, September 2016). The book was a Junior Library Guild Fall 2016 Selection and chosen for the 2017-2018 Great Lakes Great Books statewide literature program. Kristin’s success led to lots of speaking engagements and a flurry of activity as the book gained popularity. But what’s a newly-minted author to do when the process of promoting a book zaps your energy and leaves you feeling unable to write anything new? Kristin answers this important questions and more in this fabulous post that provides an honest perspective. Hope you enjoy it! You can Learn more about Kristin at www.kristinbartleylenz.com. Coming Soon on Sensibility and Sense. . . a fall picture book critique special and giveaway! Stay tuned! Excited to Announce Some Poetry MADNESS and My New Nonfiction Picture Book! 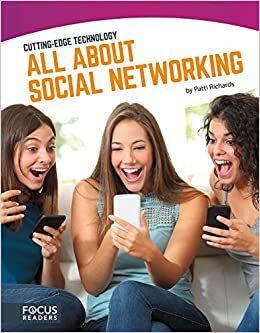 Second, (which really happened first) my first nonfiction picture book for kids, ALL ABOUT SOCIAL NETWORKING (Red Line Editorial/North Star Editions) was released in late January! It’s part of a series on Cutting Edge Technology and is available for purchase from Amazon.com (just click on the picture for more information). Thanks to all of you for your continued support of my writing journey. It means so much to have you along for the ride! Sensibility- Renewing commitments on a regular basis helps maintain focus and keep dreams alive! Sense- March is a great time to recommit to those writing goals you set in January. Check your list and take stock of where you are and where you want to go. Have you met any personal writing goals since January? Share them here! Introducing Jodi McKay, author of WHERE ARE THE WORDS? Happy Friday everyone! I’m so excited to welcome my friend and newly-minted children’s author, Jodi McKay to Sensibility and Sense! 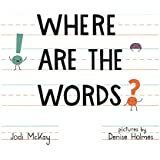 Jodi’s debut picture book, WHERE ARE THE WORDS? (Albert Whitman and Company, December 2016), illustrated by Denise Holmes, is a fun and funny look at the ellusive world of the punctuation mark! When a period, an exclamation point and a question mark get together to write their own story, they find that something very important is missing. . .the WORDS! Enter some wise quotation marks, an opinionated parenthesis and a colon with a long list of ideas, and you’ve got an endearing tale that introduces kids to the important work end marks and their com padres do. And now, without further delay, here’s Jodi. . . When a period, an exclamation point and a question mark get together to write their own story, they find that something very important is missing. . .the WORDS! Enter some wise quotation marks, an opinionated parenthesis and a colon with a long list of ideas, and you’ve got an endearing tale that introduces kids to the important work end marks and their com padres do. And now, without further delay, here’s Jodi. . .
Patti: Tell us a little bit about your journey as a writer. When did you first get the “bug” and how did you nurture the dream along the way? Jodi: I’ve been a creative type my whole life, drawing, writing, playing music so I guess I was born with bugs-Ewwww. Regardless of what I was doing in life I always found time to draw or write. I honed my skills during mind numbing high school and college classes (some of my best doodles came from a statistics course), painted while I was supposed to be working, found a way to include writing in my job, and now I shut the door to my office and ignore reality so I can dive deep into the weird abyss of my creative process. Hmm, I’m making myself sound like a slacker. I promise I got things done, just with the occasional creativity break. Patti: If you’re like me, you’ve been writing ever since you can remember. But some of us had other careers before we settled on writing. What did you do before you became a wordsmith? Jodi: I have a graduate degree in Psychology and worked at an eating disorder center in South Florida as an aftercare manager/counselor for some time. I stayed home after I had my son and then we moved back to Michigan. I know what you’re thinking, that I’m crazy for leaving the tropics for the frozen tundra. You may be right. I didn’t start writing until my son went to kindergarten and I felt like I had enough time to breathe let alone write. Patti: Many people go to college or graduate school to study writing for children. How has your education, whether writing based or not, informed the work you’re doing today? Jodi: Honestly, I don’t think much at all. It’s been said that people go into Psychology because they have their own issues and I guess if I tried to make a link between my education and my writing then I would say that my issues make me odd enough to think of the quirky, humorous stories that I like to write. Jodi and her SCBWI buddies at the WHERE ARE THE WORDS debut at Pages Bookshop in Detroit on January 7, 2017. Patti: Now, let’s talk about WHERE ARE THE WORDS? It’s such a unique and special book. Punctuation marks trying to write a story!!! So perfect! Can you tell us where the idea came from? Jodi: Thanks! It’s bizarre right? I mean, who thinks of talking punctuation marks? The concept came out of a bad case of writer’s block. I sat at my computer, questioning my ability as a writer and flat out asked my computer, “Where the ! @#& are the words?” That was the spark I needed to then ask, “What if someone wants to write a story (me), but literally can’t find words for it?” Once I had the idea I knew I had to present it in a different way and that’s when those sneaky little punctuation marks elbowed their way into the picture. The rest flowed out and was quite fun to create. Patti: How did your early drafts differ from the final product? Jodi: I always had the punctuation marks speaking as they act in a sentence, but the way they went about finding the words changed. I think it’s funnier now, especially with Exclamation Point’s role. I also experimented with dialogue tags and some narration, but it just didn’t work. Patti: Writers love to hear about other writers’ success stories! Can you talk about your journey to publication? How did you connect with your editor and agent, and how did the contract ultimately come together? Jodi: I say it all the time, the planets aligned (which happens roughly every 500 years) and I was offered a book deal. It goes like this, I won a critique from an author who read my story, offered some feedback, and asked if I would send it to her editor. I sent it and waited 2 ½ months with only one email upfront to say that the editor had received it. Figuring that it was a no I started querying it and then wouldn’t you know it, I opened my email and there was an offer from Albert Whitman! I reached out to the agents I had queried to let them know about the recent development and Linda Epstein emailed me back asking for more work. I was lucky enough to sign with her and she went right to work negotiating the contract with Albert Whitman. I’m very grateful for all of her help in that process. Patti: We all need great resources to help us along on our writing journey. What are some of your favorite resources- groups, classes, website, blogs- and how do they continue to help you now? Jodi: SCBWI is probably the greatest resource out there for children’s book writers and illustrators. They are a one-stop shop for finding what you need to write for kids and I would not be the writer I am today if I had not joined. Other online resources I found to be helpful was 12×12 which is open for registration now, Kidlit College offers some great webinars as does Children’s Book Academy, and Facebook groups such as Kidlit 411, Sub it Club, ReFoReMo, StoryStorm, and Agent/Editor Discussion are great for connecting with your peers and having any questions answered. I think continuing education is key to writing for today and tomorrow’s market. What kids need and want evolves so it’s always good to be on top of that and these resources are the best place to stay up to date. Patti: I like to leave my readers with a nugget or two to think about at the end of each post- a little Sensibility and Sense for the road if you will:) What two pieces of advice would you give to other writers no matter where they are on the path to publication? Sensibility- Jodi says. . .Let your emotions out. I say this with two scenarios in mind: 1. When writing, access your feelings and use them in your story’s voice or your character’s personality. This will make it feel authentic, a story that only you can write. 2. Writing and submitting can be awfully frustrating. Let yourself be angry, sad, anxious because that’s part of the journey. Go outside and chuck ice cubes at a wall (not a window! ), scream into a pillow, ugly cry for a bit and then pick yourself back up and keep writing. Don’t keep those emotions in or they may hold you back from experiencing how rewarding writing is. Patti- That’s some great writing wisdom, Jodi! It’s been a privilege to be part of your journey. Now, did you want to say something about a FREE critique? Jodi- I am happy to offer a FREE critique for a picture book manuscript of less than 700 words. Looking forward to reading your work! Patti: Wow, that’s a generous offer! 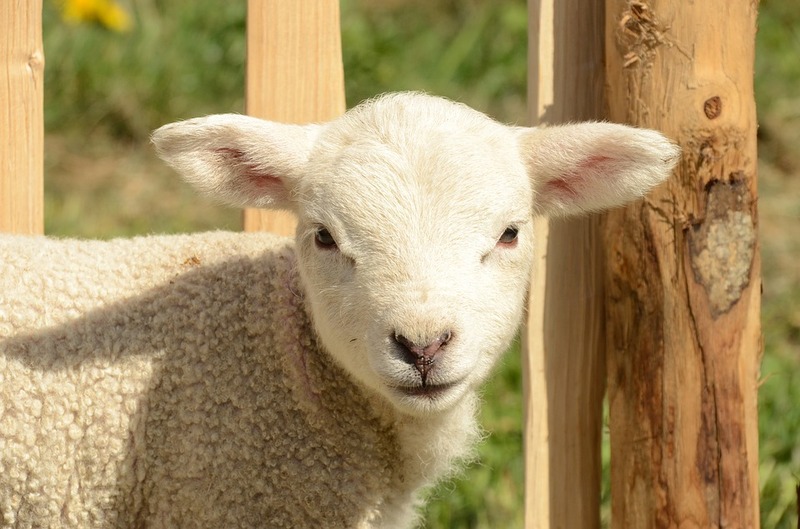 Let’s do it this way. . .the first 10 picture book writers to comment on this post will get your name in a drawing for a FREE picture book critique from Jodi! Please include your name and the words…I WANT THAT CRITIQUE… in your comment to be eligible! 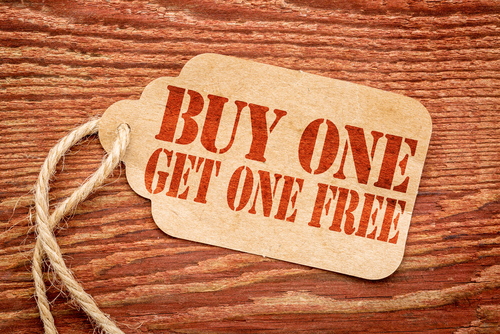 And don’t forget, I’m offering a BOGO Picture Book Critique Special through the end of January! That means today you have TWO great chances to polish your work and get it ready to submit! So start those comments rolling and check out my offer by clicking the PGWRites Critiques tab above. Thanks again, Jodi! And be sure to get your copy of WHERE ARE THE WORDS at your local independent bookseller or on Amazon today! A Thought for Monday. . . I found this lovely quote today and wanted to share it with all of you! And don’t forget my Back-to-School Critique special going on now! It’s a BOGO Picture Book Critique Special! Hey, all you picture book writers out there! Looking for a way to jump-start a summer writing project or take your current work-in-progress to the next level? Then I have a deal for you! Starting Monday, June 13 through Friday, June 24, purchase one PGWRites Critique and you’ll receive a second critique of a different manuscript absolutely free! Yep, you heard it. Absolutely free! 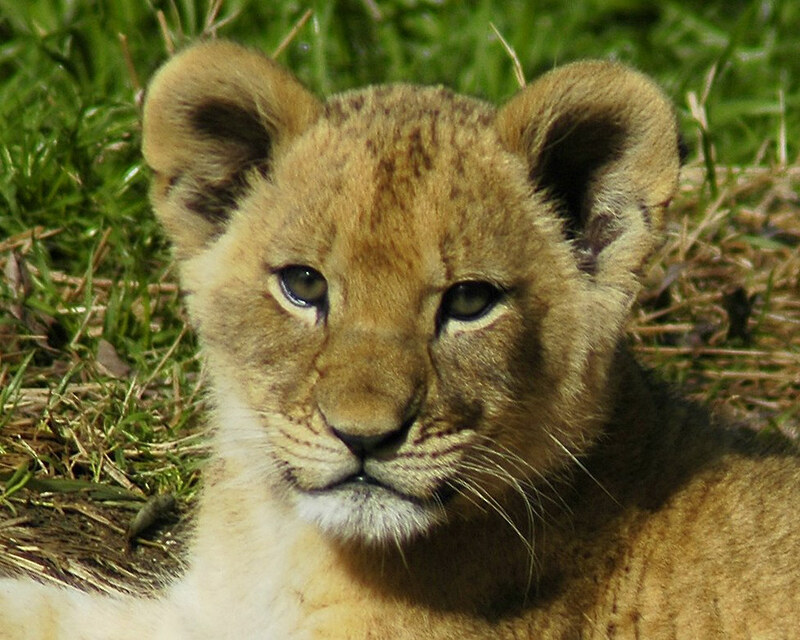 Simply click on the PGWRites Critiques tab above between June 13-24, follow the submission and payment instructions, and you’ll receive a second PB critique at no additional charge (a $50 value- good for up to one year). !SHARING BONUS! !SHARING BONUS! !SHARING BONUS! But wait, there’s more! Anyone who shares this post via Facebook, Twitter, Google+ or Linked In by Noon on Friday (June 10) and sends me the link in an email with their PB submission gets a free “second look” on their paid picture book critique submission (a $25 value). So with the BOGO and the SHARE, you’ll receive two picture book critiques plus one “second look” all for the low price of $50! Wow! What’s so Special about a PGWRites Critique? A PGWRites Critique goes above and beyond many picture book critiques by providing line edits, in-MS notes, a one-page explanation of those notes as well as a list of guiding questions for revision, all for the low price of $50. I’m so sure you’ll love my services that I’m throwing in an extra critique for free and a second look just for sharing this information with a friend. So what are you waiting for? (Besides Monday, of course:) You’ve got just a few days to dust off that manuscript and get it ready for a fresh set of eyes and a new perspective! I’m looking forward to reading some great stories and helping make them even better! I’ve Written How Many Words? So I hit a bit of a milestone last week- OK, I don’t know when I actually hit it, but let’s say I noticed it last week. After a little more than five years with one particular company, I’ve written 161,468 words. Wow! That’s a pretty big number! At any given moment, though, I’m working for at least three companies at a time, so the actual number of words I’ve written in the past five years is most-likely three to four times that number; and that’s just my work-for-hire writing. And what did I get for reaching that milestone you might ask? (Begin drumroll) A water bottle with the name of the company printed on the side. Yep! A water bottle! But hey, in an occupation where even an “atta-girl” is difficult to come by, I’ll take it, and proudly drink from it. But here’s the thing. . . when I saw that number, I immediately began beating myself up, and the misery lasted for almost 24 hours. That’s almost three middle-grade novels. Can you believe that? That’s 161 picture books. How many chapter books did you leave unwritten and for what? You’re so behind all the other writers you know. No wonder an agent hasn’t picked you up yet. You’re 50, and you’ve only sold one book. That’s pathetic. Hearing that helped a little, but we writers are hard on ourselves by nature. So it wasn’t until breakfast at the end of my 24-hour beat-me-up marathon, that it hit me. Those 161,000-plus words represent piano lessons, violin lessons, trumpet lessons and cello lessons for three kids. They mean bills got paid and music trips to New York and Chicago happened, and field trips happened, and homecoming dances and proms happened and yearbooks happened and college tests and all the other little things that are very big things happened. And all because of words (and the strength from God to write them). When I looked at my youngest daughter across the table, now 17 and heading to college in a year, I realized again what those words had helped to accomplish, and I was thankful. So thankful. . . So here’s to words, and the things they make happen that are the real stuff of life. They’ve let me be part of the three best stories I’ll ever help to write, and those are Wesley, Julia and Olivia. I love you guys! My three big kids! Sensibility- Look at your writing in honest ways and celebrate all that you’ve accomplished since you got started. Then eat something chocolate. Chocolate is always good. Sense- Even when you feel sidetracked by life’s responsibilities, be they writing or otherwise, find a few minutes each day to write something you love (like a blog post;). What have your words helped you accomplish in the past few years?